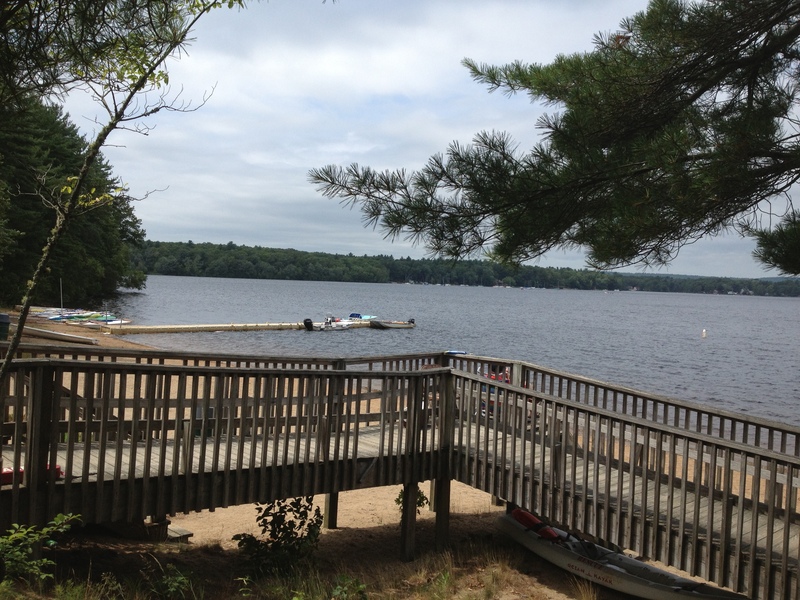 Community Center Beach on Lake Mashapoag - Sharon, MA - Take a day trip! Entrance ramp to Community Center beach. 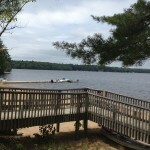 is open to use by non-residents unlike Memorial Beach on the northern shore of the lake. There is a small parking lot across the street from the beach and a portable toilet available at the location. Admission is charged for access to the beach and you can pay for either a one-day pass or buy a pass good for the whole summer season. 2013 Fees are $10 for an individual for the day, $20 for a family and a season pass for $85. This fee applies to non-residents. 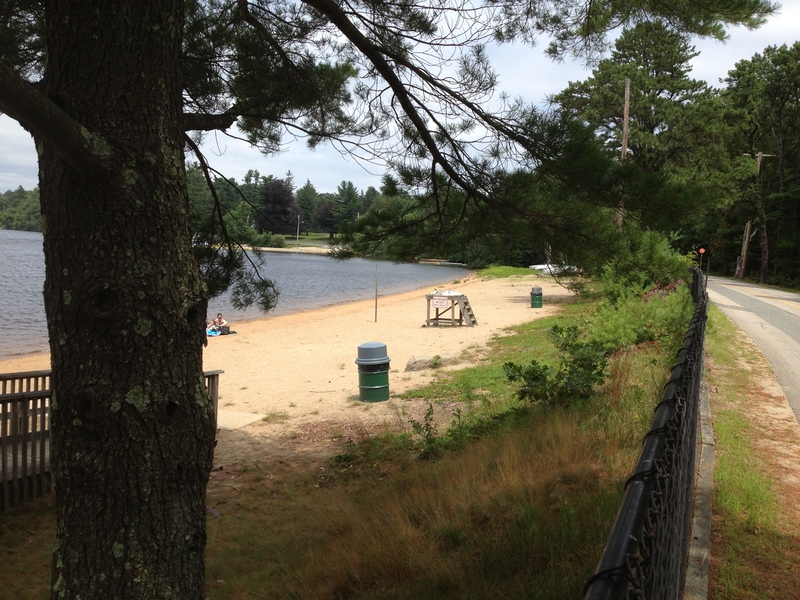 Sharon town residents can get a beach sticker that includes access to both this beach and Memorial Beach on the north side of Lake Mashapoag. Dogs are not allowed on the beach from April 15th to October 15 with the exception of service animals.